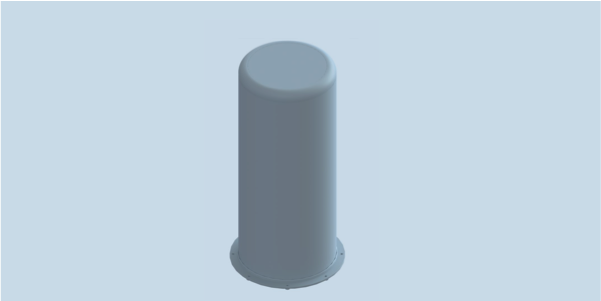 OMNI-A0098 is an active antenna array covering 20 to 6000 MHz. The array is under one compact radome and output with optional one or two connectors. OMNI-A0098 is protected from excessive field strengths and boosts low-level signals. When the OMNI-A0098-03 is unpowered (passive bypass mode), low-distortion measurements in high incident fields are possible. The active version of this antenna uses DC power injection on the output port of the antenna. Use the MISC-A0022 power supply. Full spectrum coverage for diverse SIGINT requirements can be achieved by pairing the OMNI-A0098 with the OMNI-A0156 or OMNI-A0100 horizontally polarized, omni-directional monitoring systems.